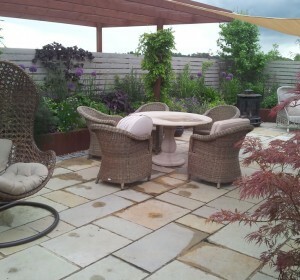 The owners of this garden are passionate hands on gardeners always looking for the opportunity to develop new areas in the garden and change existing spaces. 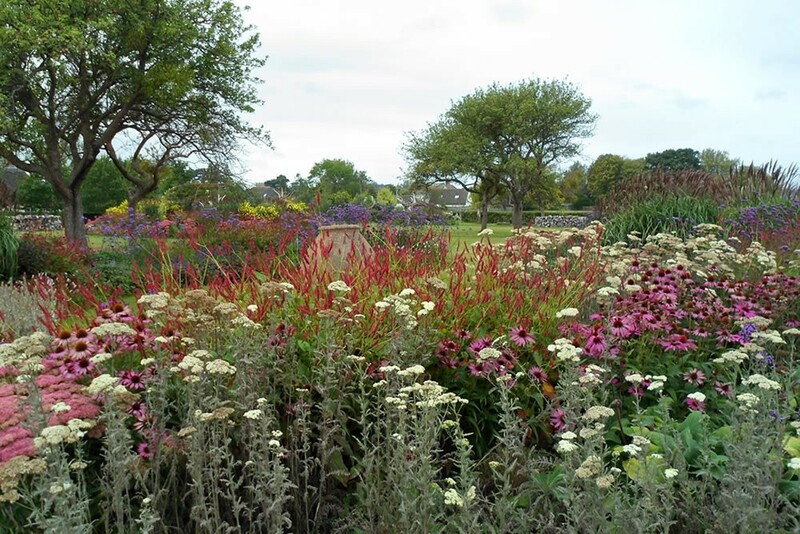 An old orchard had gradually reached the end of its life, giving a large area to work with. 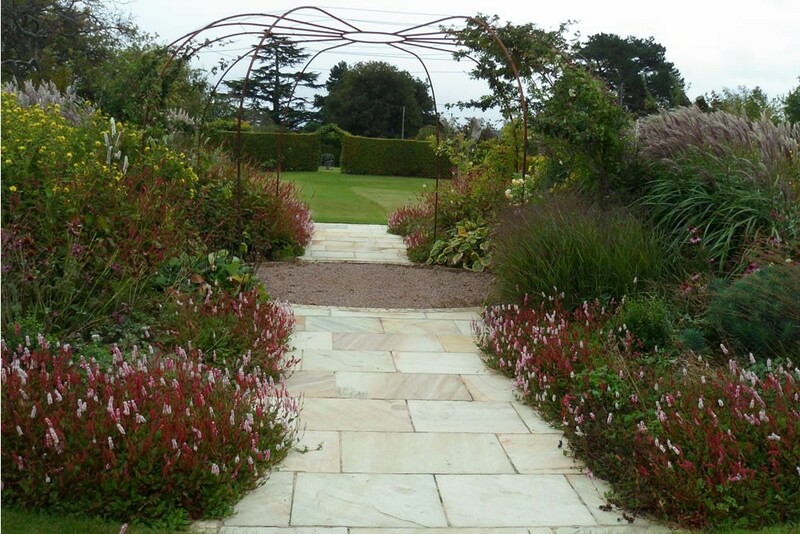 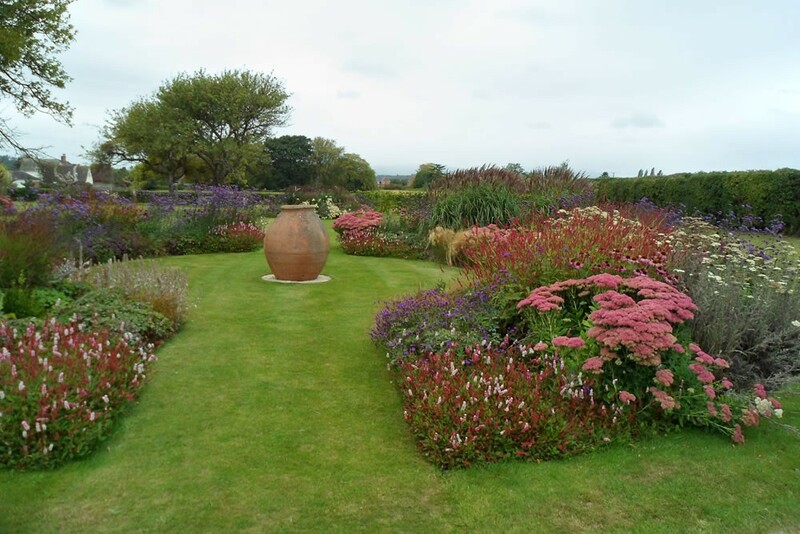 A series of large circular beds, fill with prairie style planting were the perfect solution to give drama a colour to the space. 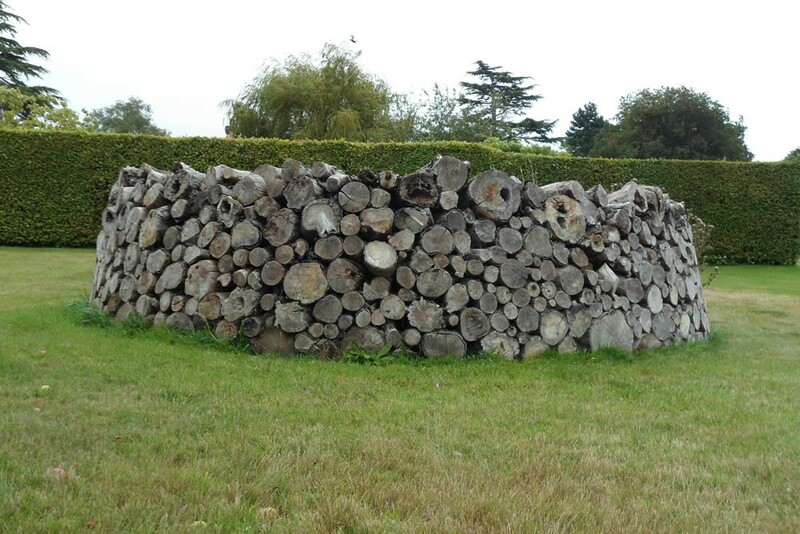 The old apple trees were transformed into timber sculptures that provide shelter for little owls and other wildlife. 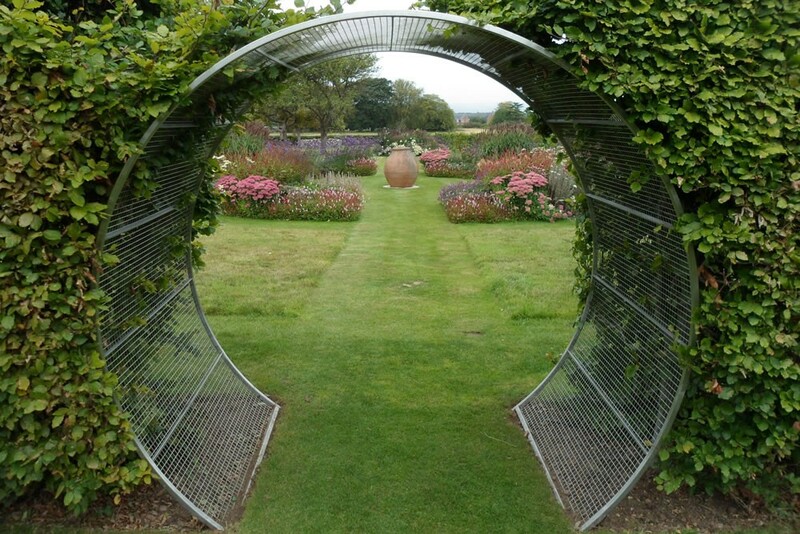 Beech hedging separates a newly planted orchard area, and a steel arbour supports roses and adds height to the open space. 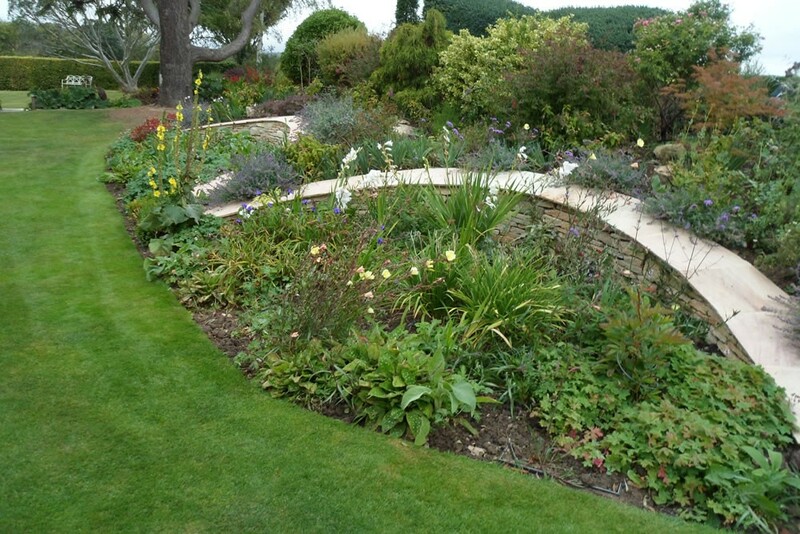 A variety of other changes including curved, sloping stone walls to give formal structure to a rockery area, the enhancement of a ha-ha to develop a bog garden and addition of a formal pool, all add extra structure to a well laid out garden. 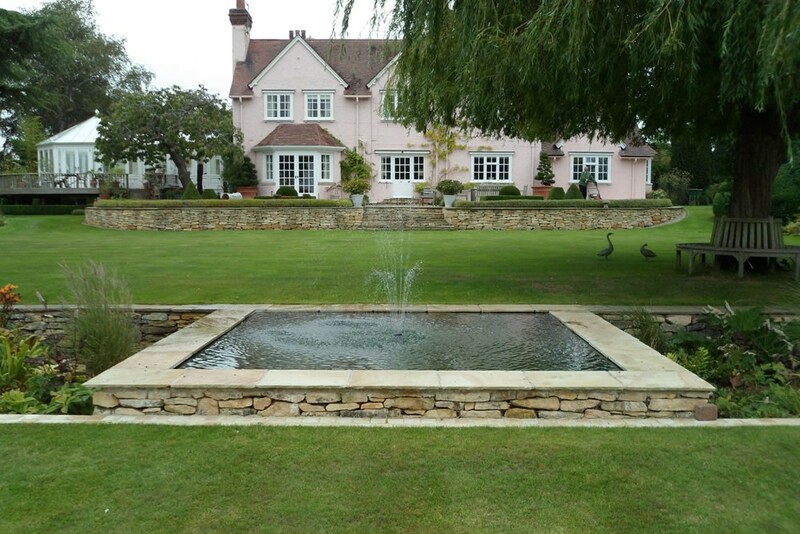 Although mainly soft landscaping, the use of steel, and Cotswold stone. 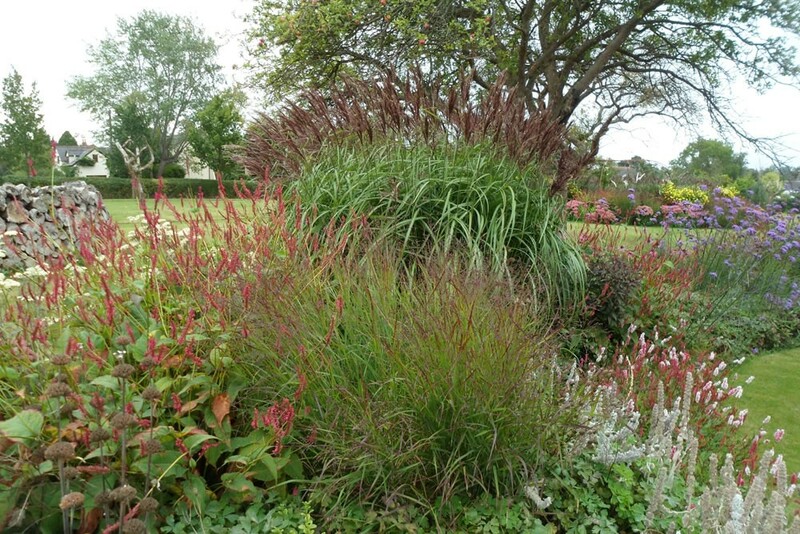 Grasses such as miscanthus and molinia are the backbone of the planting with verbena, persicaria, salvia, monarda, echinacea and aquilegia give planting that looks great from may until march, when the plants are cut back. 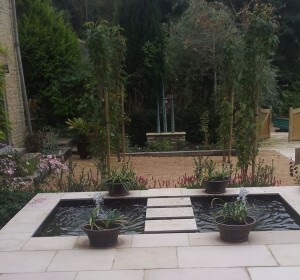 Pinus nigra, birches and steel rose supports give extra height replacing the structure provided by the original apple trees.